Toy Story Characters welcome visitors to Disney World. Every night, there's a Mickey Mouse parade and fireworks. 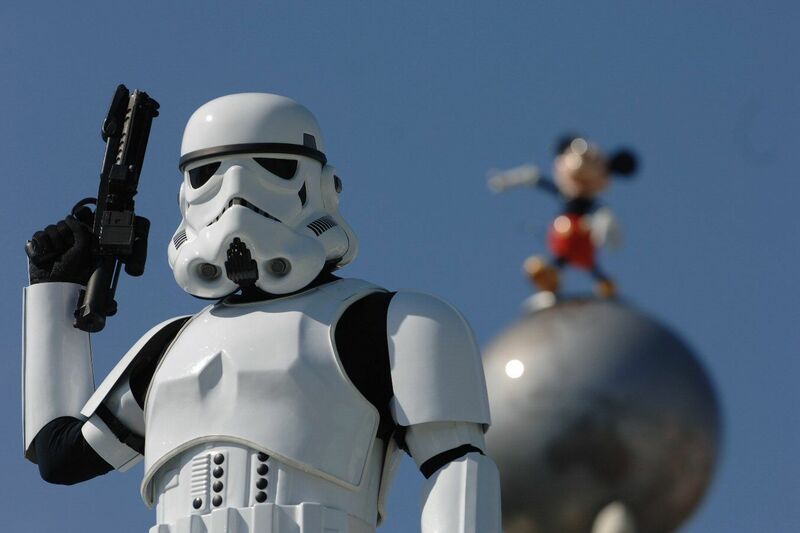 Star Wars characters are found at Disney Hollywood Studios. Any age can master Magic Bands, which store your ticket, room key and reserved rides. 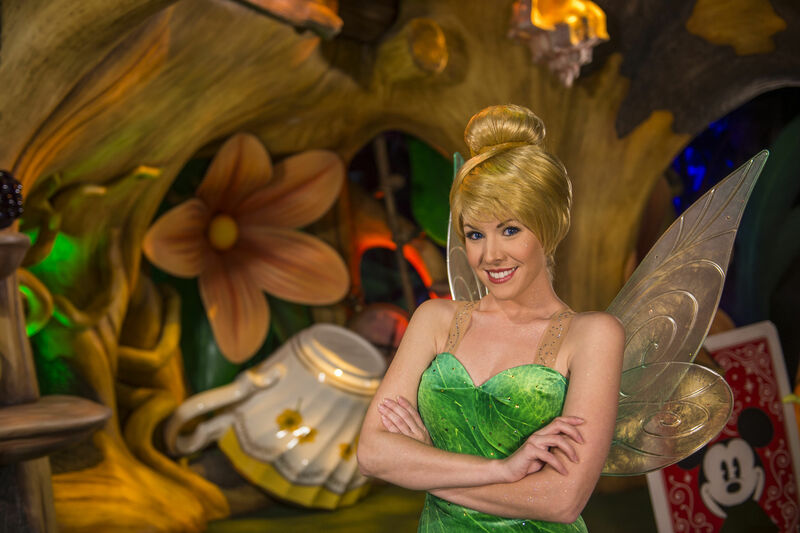 Tinker Bell has her own secret nook to meet Disney World fans. Expedition Everest coaster at Animal Kingdom has great Himalayan theming. The Chinese Theater at Disney World lets you rest and enjoy clips from classic movies. Visit Pandora - World of Avatar - after dark for even more magic. There’s magic in the air at the world’s favorite themepark: Walt Disney World in Orlando and that magic, plus the aliens who’ve landed in the gorgeous new land of “Pandora: World of Avatar,” have made the park busier than ever. Here’s our guide to what’s hot and what’s classic this summer. TLDR? Hah, we’ve saved the latest time-saving tools and money-saving tips till the very end. Let’s start with our favorite Disney World experiences. Which Pirates of the Caribbean came first, the movies or the ride? Disney old-timers know the answer: the ride. With the release of the “Pirates of the Caribbean: Dead Men Tell No Tales” this summer, this ride is one to FastPass. If you haven’t been on the refreshed “It’s a Small World” which debuted at the 1964 World’s Fair, both young and older members of the family will enjoy the latest animatronics and find the inspiration for the gentle “Na’vi River Journey” in Pandora. New Fantasyland, the largest expansion project in Magic Kingdom history, includes “Seven Dwarfs Mine Train,” a gentle coaster that whisks riders into the gem mine where Cinderella’s buddies are hard at work, excavating big glistening rubies, emeralds and sapphires the kids will love. The second “Dumbo the Flying Elephant” is charming, doubling the capacity of the ride and offering clockwise and counterclockwise flight. The Big Top indoor waiting area for the ride, known to Disney cast members as “Scene One,” is a big hit with parents and grandparents, who can sit in air-conditioning while little ones play interactive games to make waiting time fly by. Also along these lines, the Meet and Greets Disney is famous for — those priceless photo ops of your kids with princesses and heroes — have been expanded. There’s a dedicated, indoor Princess Hall at New Fantasyland if you want to meet several of the legendary ladies (without fainting in the sun), and even Tinker Bell is being featured in her own Magical Nook on Main Street USA. Outside for waterplay on the hottest days, there’s a fun “Casey Jr. Splash ‘N’ Soak Station” and toddler/grandparent friendly rides: “Barnstormer” featuring Goofy, with twists and turns on a family-style roller coaster flying above the circus fun; and the Fantasyland Train Station where you can board the “Walt Disney World Railroad” encircling the Magic Kingdom for a 20-minute journey. We also love the plunging Big Thunder Mountain Railroad; Space Mountain,the legendary indoor roller coaster found at every Disney park worldwide; and Splash Mountain, a super log flume ride that is closed for refurbishment this summer. Everyone tall enough should ride them at least once. While many of MK’s attractions are geared to the youngest children, and the famous Disney characters rule the streets, there is something for every age group to enjoy. Try the new Skipper Canteen restaurant, which serves international cuisine. 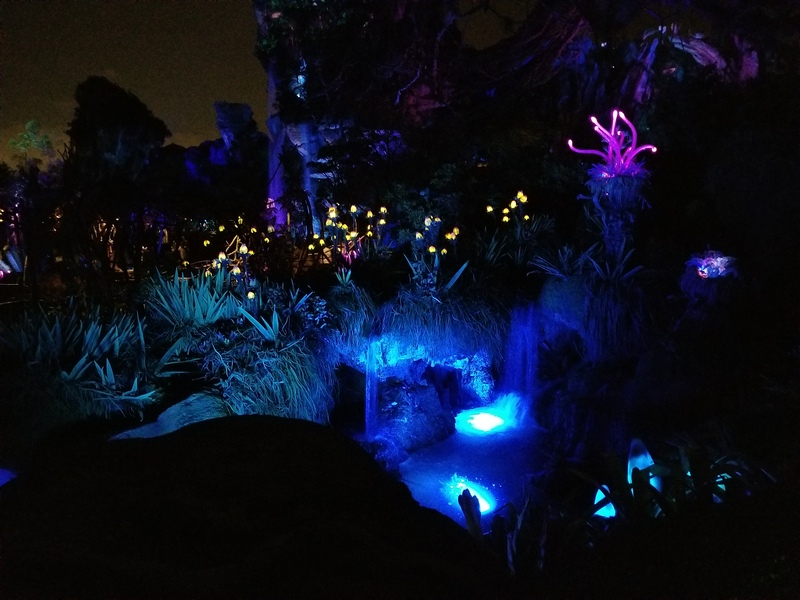 The entire family will love the quieter Animal Kingdom, where over 1,500 animals reside on 580 acres of jungle, forest and a grassy savannah; and blue aliens inhabit the brand new moon of Pandora. Inspired by James Cameron’s “Avatar,” the lyrical moon of Pandora takes you into deep space, where you become one of the Na’vi, a race of aliens connected to the fragile environment of their planet. Two remarkable rides successfully transport Earthlings, whether brave or timid, to Pandora. Fly over the alien world on Disney’s thrilling “Flight of Passage” for a bird’s-eye view of bioluminescent rainforests and floating mountains while riding on the throbbing back of a Banshee. Families can also enjoy the “Na’vi River Journey” with its state of the art animatronic characters and spiritual ambiance, floating aboard a woven raft through the rainforest. There’s more entertainment and rides. 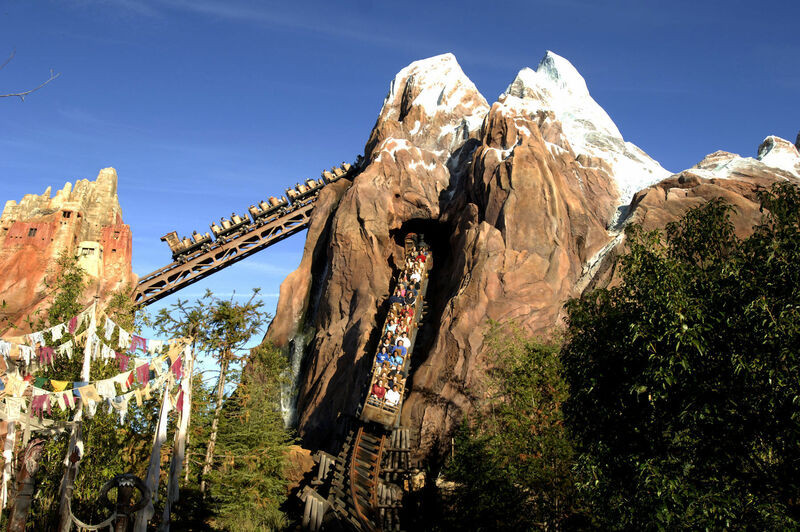 “Expedition Everest” in Animal Kingdom is suitable for the entire family, including grandparents who like a thrill. During the ride, visitors depart from a recreated Himalayan village — pay attention to the fascinating details as you wait to board — on a bumpy roller coaster with many surprises. It’s one of our favorites. The world’s largest animal-themed park boasts “Kali River Rapids,” a great way to cool down on a hot day. Just be sure to avoid the T-Rex on the loose! He’s anything but fossilized. For kids who want to get even closer, “Rafiki’s Planet Watch” is akin to a safari petting zoo whose keepers explain their environmental mission in a fun, informative way. We loved the new show, “Festival of the Lion King,” where costumed entertainers and puppetry engage kids in playing African instruments and joining the fun. Those adventure-minded guests who yearn for a safari experience can sign up for a “Wild Africa Trek,” a three-hour experience into the deepest, most remote reaches of this park. Trekers (ages 8 and up) join expert- guided small groups and enjoy an up-close-and-personal experience with the African wildlife species that make their home in Pangani Forest as well as other areas of the park’s Harambe Wildlife Reserve. 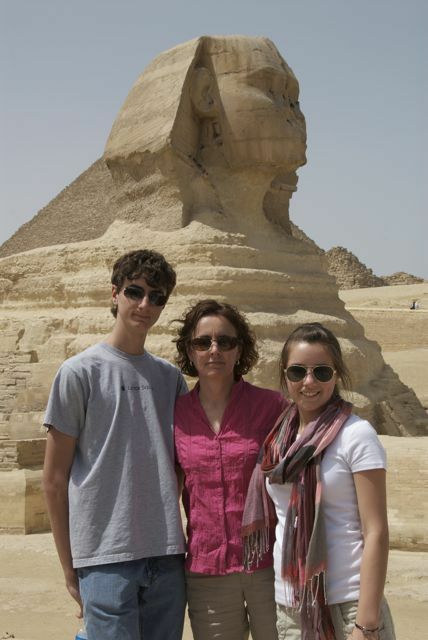 For reservations and pricing information (from $189) for this add-on adventure, call 407/939-8687. Older children and teenagers will find futuristic rides at EPCOT (Experimental Prototype Community of Tomorrow) that are sure to amaze them. “Mission: SPACE” is a technologically awesome flight simulator that puts you in the driver’s seat of a NASA spacecraft. We had a great time on “Test Track,” a ride that recreates another high-speed, but very much on-the-ground, situation: automobile testing. You’ll start by designing the ideal vehicle, then test it on hill climbing, harsh road surfaces, skid recovery, high speed, and even the barrier (don’t worry, you won’t come out looking like those crash test dummies in the commercials). The motion control images and virtual movement of “Soaring” and the interaction with Crush in “Turtle Talk” are some of the park’s most fun innovations. Parents may recall the “World Showcase” pavilions that offer shops, attractions and restaurants from different countries. Today, a “Frozen Ever After” boat ride represents Norway, yet cast members are also genuine natives who kids enjoy meeting. Make sure to book your dinner reservations early in the day as many of Disney’s best restaurants are in EPCOT. To get even more bang for your buck, try to visit in spring for the annual EPCOT Flower & Garden Festival (with children’s gardens and amazing topiary), or in fall for the annual Food & Wine Festival which is being lengthened this year due to demand. Kids will enjoy the live music and visiting pop bands while parents can sample wines and foods from around the world. When you think Disney and Hollywood, picture the Star Wars franchise, which is bubbling up all over this park (an entire Star Wars Land is set to open in 2019.) Immerse yourselves in the cool “Star Tours: The Adventures Continue” ride that contains movie scenes, fun effects and that memorable score. There is a charming, live “Jedi Training: Trials of the Temple,” a great experience for younger kids as they learn to fight like a Jedi knight and face off against Darth Vader. Disney XD’s Star Wars Rebels will showcase Seventh Sister Inquisitor, and other character from the dark side. At the Star Wars Launch Bay fans can celebrate their love for the saga with games, movie props, and a theater to watch a short Star Wars behind the scenes documentary. The “Star Wars: A Galactic Spectacular” show has fireworks, lasers, special effects and features music from the movies’ score throughout the saga. This summer, you can also rest your feet at “Star Wars: A Galaxy Far, Far Away” while watching characters from films including “Rogue One” play out scenes from favorite films. The most famous classic ride at Disney resides in Disney’s Hollywood Studios. MGM’s “Twilight Zone Tower of Terror” has been terrifying everyone from older children to grandparents for years. To keep things fresh, WDW has reprogrammed the 13-story hotel attraction so that each terrifying ride is now random; not even the safety staff know the sequence of unfortunate events that will befall riders. The “Rock ‘n’ Roller Coaster” which flies along a 3,400-foot track in a limo also doesn’t disappoint, with its unexpected drops, sudden high speed, and soundtrack of five Aerosmith hits. Check out any of Hollywood Studios’ free live shows, as many have become more participatory. “For the First Time in Forever: A Frozen Sing-Along Celebration” is karaoke and cabaret combined, as cast members and film clips recreate the blockbuster tale of Anna looking for her sister, Queen Elsa of Arendelle, while the audience is urged to sing out loud. 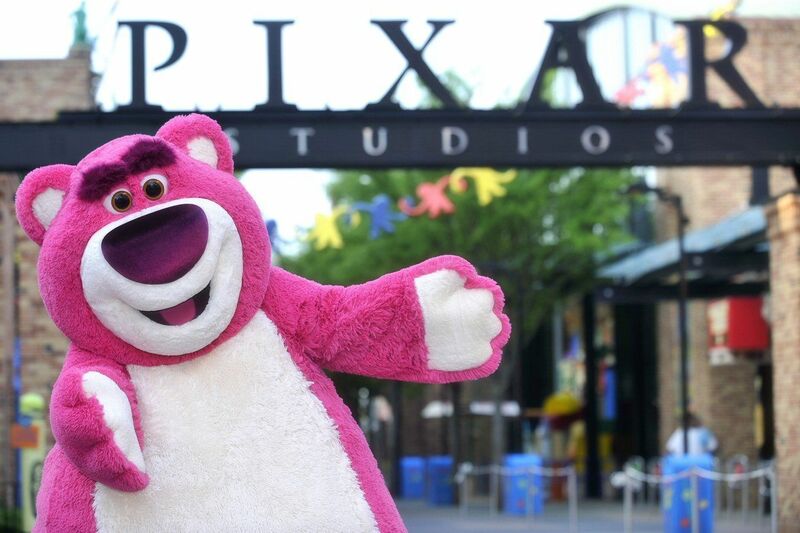 This summer, a must-see chill moment is Pixar Live, with a classical orchestra that performs hit songs and scores from several Pixar films, ranging from classical to jazz and pop interludes, while film clips from “Toy Story,” “Monsters Inc” and other hits play behind the orchestra. There will be three concerts nightly, with no extra admission fee. At the emotional climax, several of the film’s characters come out to greet the audience. 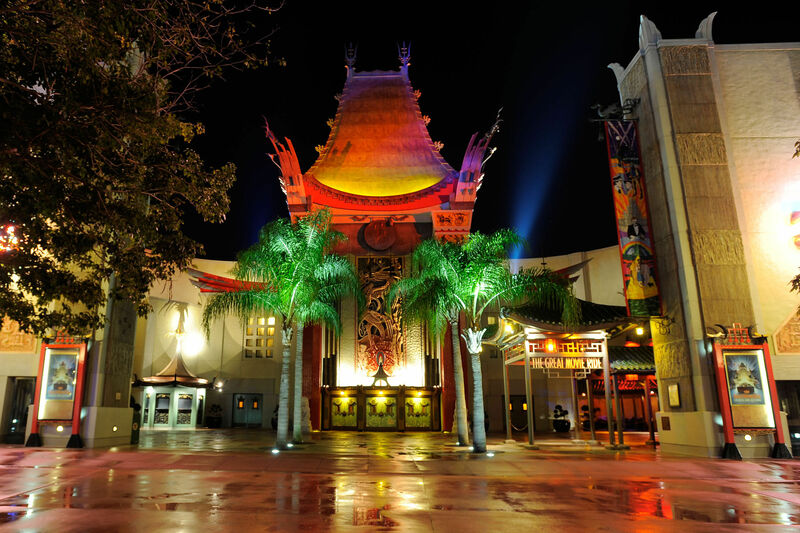 Grandparents may like entering a recreation of Hollywood’s Chinese Theater to see “The Great Movie Ride” with clips from Casablanca and Wizard of Oz. At the 4D “Toy Story Midway Mania” families in 3D glasses can join the cast in playing arcade games as they ride along. Grandparents and parents shouldn’t worry about childcare, as Disney offers a great array of options that make it easy to travel with your littlest kids. Disney offers a Rider Swap program in which guests can take turns waiting with youngsters too small to ride a certain attraction, then “swap” with another adult from their party to experience the ride without standing in line twice. It’s not located at every attraction, so ask beforehand to determine what facilities are available. There are a number of baby care centers where you can change and feed your baby around the parks. Strollers are available for rental and babysitters are available in the Disney hotels for children 6 months to 12 years. Additionally, many of the on-site Disney hotels have Childrens Activity Centers for ages 3-12 by day, and evening group kids programs. Walt Disney World boats two water parks; Typhoon Lagoon, a tropical-island-style park and Blizzard Beach, a glittery snow-themed collection of giant water slides with sparkling snowfall. At Typhoon Lagoon, take a water coaster thrill ride, “Crush’n’Gusher,” which enables you to ride seven waterslides down a mountain; plus a big wave pool cranked up to provide surfing caliber waves. “Miss Adventure Falls” is a new, 2-minute hunt for treasure aboard fast-paced white water rafts with Captain Mary Oceaneer, a treasure hunter who roamed the seven seas in search of underwater artifacts. “Ski Patrol Training Camp” is a fun bumpy splash ride for all ages at Blizzard Beach, or catch the aerial “Chairlift” and some air. While we enjoyed cooling off in the parks, we think you need at least a half-day and plenty of warm weather to offset the $62 per day passes. Sports loving families should check out the ESPN Wide World of Sports Complex. It features 220 acres of sports fields and if you’re there at the right time, you can catch the Atlanta Braves during spring training or the Tampa Bay Buccaneers during their training camp. Beyond the theme parks, your family athletes will find five top-quality golf courses that reserve tee times and shuttle service for on-site Disney World hotel guests; rental equipment for sailing, wakeboarding, bicycling, tennis and other sports at the various hotels. Even if you’re exhausted after a long day at the parks, we recommend getting out at night and seeing the huge variety of nightlife that Disney World offers. Of course, the free parades in the park will be more than enough entertainment for young children (and many grandparents). This summer, the Magic Kingdom at night show, “Once Upon a Time” recounts favorite fairy tales, by projecting scenes from Disney classics as well as animated clips customized to decorate the castle’s exterior. Fireworks that replaced the long-running “Wishes” show, and music performed by country music artist Angie Keilhauer and singer Jordan Fisher from the “Moana” soundtrack, add pizzazz. 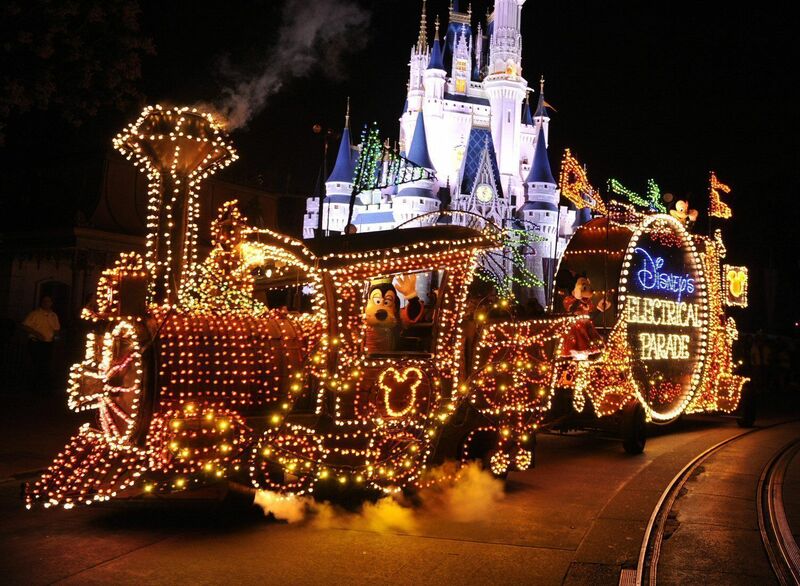 This nostalgic parade with its catchy theme music is the perfect way to remind grandparents that what they found fun at Disney is still fun for the next generation. The big Animal Kingdom at night news is extended late night hours with more to see, planned now to run 8am to midnight through early July. Pandora is not only spectacular by day; the entire park is bioluminescent so that even the pathways glow in the dark. “Tree of Life Awakenings” is an inspirational show that features animals and clips from “The Lion King” projected on the park’s iconic centerpiece tree. Most spectacular of all: the firefly effect produced by an ensemble of dancing drones that swoop back and forth across the night sky, glowing then gently fading out. Don’t miss the lively Harambe street party or Carnevale dance parade, scheduled to provide a musical beat as your tour the park. “Rivers of Light” is another new show that AK visitors can catch after dark. Disney Springs has a number of brand new restaurants — including celebrity chef options such as Morimoto Asia — serving everything from Cuban cuisine to seafood, and some really fun shopping boutiques including a huge Lego store. There’s also a number of entertainment options including a 24-screen AMC movie theater and the Cirque du Soleil show, “La Nouba” – as excellent a gymnastics spectacle as any I’ve seen — that’s closing Dec. 31, 2017. The very cool Splitsville is a day and nighttime hub for strikes, spares and nonstop family fun, boasting 30 bowling lanes on two floors. Disney Springs Marketplace offers the largest Disney character store in the world and a quiet lakeside restaurant. Disney’s Boardwalk offers another area to visit at night, adjacent to the hotel of the same name. Renovations are under way at the Boardwalk Inn and Boardwalk Villas, leaving guests with more than 9,000 square-feet of shops, restaurants and nightclubs, most of which are along the water or the bench-lined pier. Try the Flying Fish Cafe. The ice cream parlor there is very popular, and it’s a fun, low-cost outing for extended families. Transportation to and from Disney Springs and Disney’s Bordwalk areas is complimentary for guests of Disney hotels. Technology has greatly enhanced customer service at WDW, where no one likes to talk about the long lines or need for reservations to do practically anything. Magic Bands are the latest Applewatch-like wearable with an embedded entrance ticket, software to track whatever FastPass+ tickets (timed entry to the most popular rides) you have, and the itinerary you plan via the My Disney Experience app. The app and website even allow WDW hotel guests to book up to three of their favorite rides per day up to 60 days ahead of arrival and 10 dining reservations 180 days ahead. Visitors who aren’t holding on-site WDW hotel reservations can still book rides 30 days in advance — talk about anticipation! One waterproof and allergy-proof Magic Band comes with every ticket purchase, in several colors with associated bling that will delight the kids; once it’s clasped onto a wrist, it enables family members to swipe turnstiles for entry, visit kiosks to read and modify their plans, request new FastPass+ entries at more rides when kids change their minds, open hotel room doors, and even keep track of purchases (parental controls available). 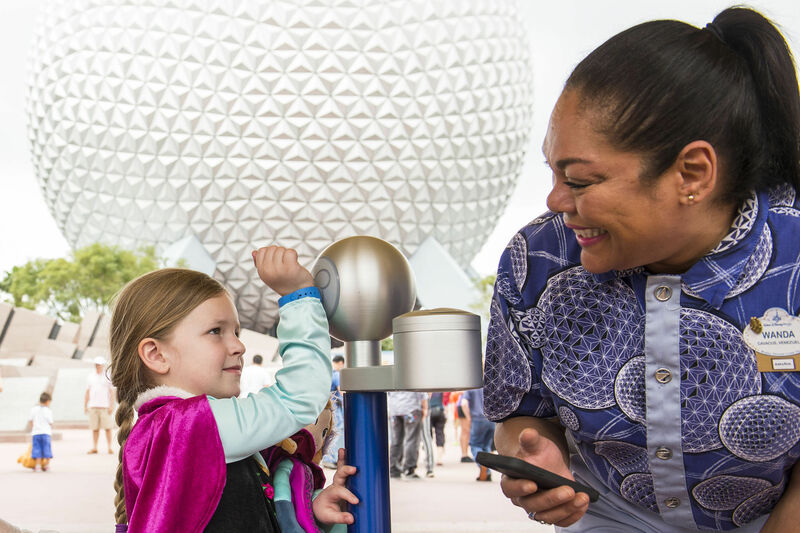 Photo addicts will want to book a Memory Maker package that gives you unlimited copies of all character interaction photos, staged photos shot by the park’s pros, and extra images and videos created by Disney. Those staying at on-site WDW hotels will use it to secure their free airport to hotel shuttle and, after check-in, as a room key and charge card, too. Altogether, these tools have made getting into and around the parks easier than ever and also serve as a good reminder of how large the WDW complex really is. You’ve checked out the digital trip planning tools noted above, right? Now, finding family-friendly hotels at Walt Disney World should be the least of your concerns. There are 25 official Disney Resort hotels near the parks and over 25,000 rooms available. Rooms range from a room at Disney’s Pop Century (currently undergoing refurbishments) resort which has two double beds starting at $122 a night, to the three-bedroom treehouse villa at Disney’s Saratoga Springs Resort and Spa which sleeps 12 and starts at over $700 a night and a posh Four Seasons. All Walt Disney World resorts have swimming pools, food courts or theme restaurants and an arcade. Aside from well-landscaped grounds and original artwork, there a number of benefits which come with a room at a Walt Disney Resort hotel. Residents get extended admission hours — typically one hour earlier than the public, and up to three hours’ later — to selected rides and attractions within each park on alternating days; VIP privileges at Disney golf courses; advance dinner show and character breakfast reservations; a WDW Magic Band for charging all meals and purchases; seasonal bonus shows or activities at the resorts; or other perks. How to make this vacation affordable? If at all possible, travel during the value season (generally January until mid-February, August and September, and from after Thanksgiving until mid-December). It’s much less crowded and values, such as complimentary meal plans and merchandise discounts, abound. We went straight to the experts for tips that should help you save money on this summer’s vacation to Walt Disney World –- the Disney Park Moms Panel. Thanks to Jackie Psarianos, who’s taken her own Toronto family to Walt Disney World 39 times and on 12 Disney cruises, for her tips on summer travel. Get a dining plan. If you book a Magic Your Way package that includes an on-site hotel and themepark tickets, you get free dining at the parks included. Check hotel rates carefully. It may cost more, but if you stay at an on-site hotel, you can come back to the room and recharge midday, with a swim or nap to extend the kids’ energy. Look outside Walt Disney World. There are many off-site and nearby partner hotels and new lodging options at Disney Springs. Perks at these other properties include guest laundry, free breakfast buffet and free shuttles to WDW, and many have access to early admission hours. This summer, to celebrate the 45th year of Magic Kingdom in Orlando, annual passholders get 10 percent off all food and beverages, plus 20 percent off all merchandise. Huge deal: with a four-day minimum package, daily ticket rates fall to $79. Through August 23, families can buy a 4 Park Magic Ticket to be used by September 30 that allows them to visit one park per day (water park admission sold separately), even if staying off property, for this same stunning $79/day rate. Jackie says dining together is so important, you should ask your hotel concierge for help booking, or set up the mobile app to alert you when any openings become available and book them immediately. We wish you safe and magical travels this summer, and hope you’ll share your Disney tips in the Comments field below.